The Tasmin 200 sports car. In the late 1970's, there was a noticeable shift in emphasis concerning legislation relating to car manufacturers. This had its source in the US with the introduction of requirements for improved safety in vehicle design. Consequently TVR realised that it would be necessary for the company to design, and create from scratch, a completely new sports car, even though such a proposition would be extremely expensive, but unavoidable. The task of the body styling was given to Oliver Winterbottom, who was previously responsible for the design of the Lotus Elite Series 2. Consequently, he introduced the wedge-shape concept, that was to be the hallmark of the TVR Tasmin. This design was blended into a fibreglass body, and was both sporty and exotic. Such a formula would be a complete shift away from the smooth, curvaceous styling of earlier models, and take the company into unknown territory. 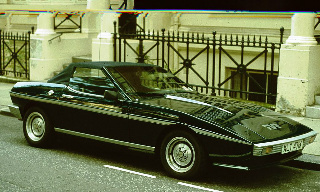 In January 1980, the two seater Tasmin was launched at the Brussels Motor Show as a fixed head coupe, with the convertible being introduced later in October of that year. There was also a 2+2 fixed head coupe variant. Unfortunately the new radical styling was not well received in the market. Furthermore, this was not helped by the model's price tag, which was regarded as unduly high. This price was set in order to partially offset the financial difficulties that the company was experiencing at that time. Furthermore, the company's position was made more complicated when Martin Lilley sold TVR to Peter Wheeler, one of his dealers. In order to generate more business, the new owner introduced the keenly priced Tasmin 200. However, this had little effect, and it would not be until the introduction of the TVR 350i in 1983 that the company's financial position would finally be turned around. Even though increasingly more powerful engines would be added to the Tasmin variants, the wedge concept was discontinued in 1991, when the charismatic Griffith was introduced. Two of the Tasmin's features included a bonded windscreen, which was a world first, and the fact that the aerial was incorporated within the rear screen heater element. It had a tubular steel spaceframe chassis, which was powder coated for added resistance to corrosion. 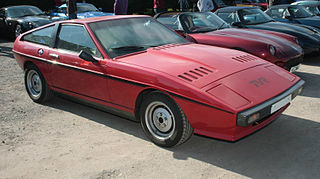 The TVR Tasmin actually consisted of two models: the Tasmin 200, and the Tasmin 280i, both with fibreglass bodies. the Tasmin 200, launched in late 1981, was marketed as an inexpensive version of the 280i, introduced in 1980. It was fitted with a 2 litre, Ford Pinto, straight 4-cylinder, overhead valve engine, as used in the Ford Cortina saloon, and developed 101 bhp, and 112 ft/lbs of torque. With a single Webber twin choke carburettor, and a four speed gearbox, it had a top speed of 115 mph, and a 0-60 mph time of 9.0 secs. With such limited performance, the Tasmin 200 was not very popular, as reflected in the quantities built: 16 of the coupe, and 45 of the convertible. It was discontinued in 1984. A 1980-84 TVR Tasmin 200 would sell for between £5,000/$8,000 and £8,000/$12,000 depending upon condition.